Obviously this was back well before Dragon Ball Z got popular along with a handful of other anime programs, so the rather curious decision was made to change many of the actual references to Dragon Ball. Even the titular objectives – Dragon Balls – was changed to ‘Crystal Balls’. 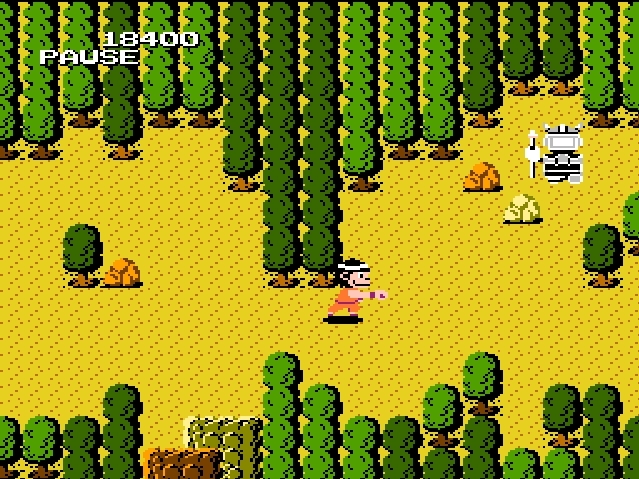 There are a lot of things I did not remember from this game, only that there was a very loose connection between this game and Dragon Ball Z, starting with the main character named Goku.